The big day is almost here! The weather has been perfect, and the ride side has been enjoyable, but Boulder Beach is opening for the season on June 9th! With this being the 15th season that the water park has been open, we have learned a thing or two on what’s essential to pack for a successful day. This guide will help you and your family pack for the big opening weekend with little to no mishaps. Luckily, if you happen to forget any of these items most of them are available to purchase in the Boulder Beach Trading Co. Most guests flee to the water park the moment that the park opens, and they stay there until that part of the park closes, which is at 7 pm. If this is your plan as well, then it is important to protect your skin from the harmful rays as much as possible by wearing sunscreen. 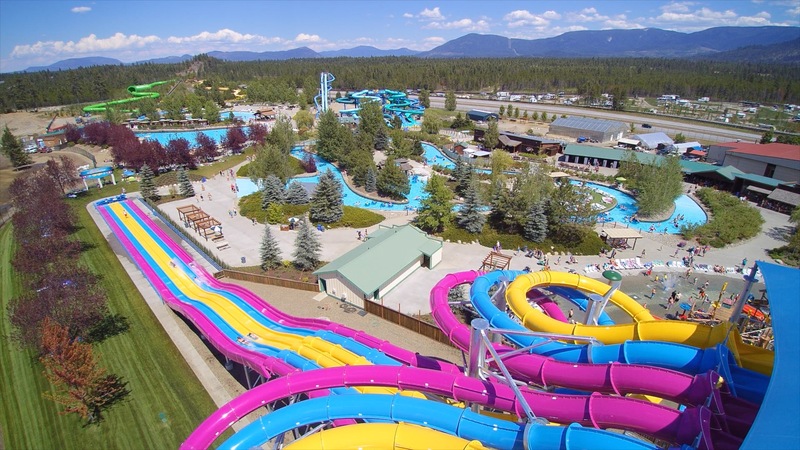 As soon as you find the perfect spot by the wave pool, quickly apply the sunscreen accordingly, and then you can race to your favorite slide! After the water park closes, you might want to go to the dry park side and ride some coasters. We know what you are thinking, riding a roller coaster is the perfect way to dry off! But swimsuits are not allowed in Silverwood, and shirts, shoes and appropriate dress are required. Besides, it might feel nice to change into some warm, dry clothes at the end of the day. Try bringing a ziplock bag for your wet clothes to keep the rest of your items dry. There are towels available to rent over by the tube rental, but you will save money and time by bringing your own. These towels will be perfect when you want to save that chair in the sandy spot by the Lazy River. There are also free cabanas available on a first come, first serve basis. Once you get to the park, race down to Avalanche mountain or the exit and save your spot with your towels. There are plenty of beverages available for purchase at the park. We have assorted Pepsi beverages, lemonade, iced tea, slushies, and beer. If you like Pina Coladas, we even have those too! But it is extremely important to stay hydrated when you are at Boulder Beach, and if you have a reusable water bottle, you might want to bring it. We have a couple drinking fountains throughout the park that you can refill at. We want all of our guests to be safe and have the best experience possible, and staying hydrated will help ensure that. If you have one of our Silverwood Sports Bottles, make sure to bring that to get your 99 cent beverage refills! These next few suggestions are specifically for those that are bringing little ones to the water park. Packing for tiny tots does require some strategizing, and this is what we recommend. We get this question a lot by first time visitors, but we do actually have free life jackets here at the water park. However, there are a limited amount and they are first come, first serve type of deal. If you want to make sure that your little one has one, then you can bring your own as long is it is US Coast Guard or Canadian Coast Guard approved. That way you won’t have to wander around looking for one, or have to adjust the straps. You can just strap them in and let them have fun right away! Walking around the park, standing in lines, and playing around the pools can be hard on little feet. Water shoes can help protect your little one’s feet and make a more enjoyable experience. Just make sure that they remove them when they want to go down a slide, because the lifeguard will have your child remove them for their safety. If your little one is in diapers, you will need to bring something for them to swim in for health reasons. If you happen to forget to pack swim diapers there are some for sale in the Boulder Beach store. Please don’t hesitate to reach out below with your suggestions. The best part is that if you leave a comment, you are entered to win FREE tickets! We have not been to the park yet, but my kids have been begging to go. I like that you can take in water bottles and refill them. We previously went to a different park where you couldn’t do that and it cost a fortune to buy enough water. Our #1 item to bring is our Silverwood Sports Bottles. We’ve never been to Silverwood but are so excited. The newsletters have been so helpful in relieving the stress of packing properly and giving us a pretty detailed description s of what we can expect! We can’t wait to get there! Awesome I’ll be sure to look at this great list when I’m packing for our trip! Always have 2 people, one goes to get a locker and the other to get tubes for the lazy river. If you have more people send one to find a shade spot for the day. The zip lock bag for wet clothes is a fantastic idea! This summer will be our first family vacation to Silverwood. Considering we have redheads our first packed item will be sunscreen! If you have little kiddo a life jacket is a must. It’s hard to find one that actually fits. Also water bottles and lots of sun screen. The zip lock bag idea for wet clothes is a fantastic idea! I always bring a first aid kit where ever i go. You never know when you or someone around you might get hurt or sick! Especially at a fun park like Silverwood. SOMEONE is gonna need some Drammamine!!! Can you use a kooler to bring in drinks? We will definitely need to bring water bottles. Have to stay hydrated. Bring flip flops or slip-on sandals for the hot sidewalks while you are waiting in line for the water slides! We always bring reusable waterbottles. They defintely come in handy on those hot days! First time going this summer! Thinking it might be a good idea to just bring life jackets from home instead of just chancing it since I got 3 little ones to worry about. Definitely bringing the resusable water bottles and tons of sunscreen! Thanks for the tips! Our number one item that we bring is Ziploc bags! Perfect for keeping phones and money dry on all the water rides in silverwood and dry from wet clothes and towels at boulder beach. I can’t wait to bring my daughter to boulder beach!! So excited that Boulder Beach is open!! Our family is looking forward to a fun day! My friends and I have been itching to go to Silverwood for years! I’d love to actually make it happen this summer. I’d love to get a Silverwood refillable cup. Thanks for offering that to help the environment! Sunscreen and water was our biggest lifesaver. We have such a great time every year! Super excited to bring my son for his first time! See you soon Boulder beach! Seriously wanting to come check you guys out! From western wa here, we will need to plan a trip that way for summer vacation! We love boulder beach and always use lots of sunscreen..
We have never been to bolder beach! If you feel overheated wet your hat and your good to go! We love boulder beach esp the lazy river..looking forward to coming down from Canada with the grand kids this summer! Such great information! Been to silver wood a few times but never boulder beach! Hats! Gotta take a break from that sunshine! I have loved collecting the Silverwood plastic bottles over the years, every few years new colors and designs come out and I see a lot of people mix and matching the lids and straws. I could not find how to subscribe to the newsletter, can you help? Hi Shannon! You can subscribe to our newsletter by simply the subscribe tab on the top right corner of your screen. We are looking forward to seeing you this summer! We love being able to bring our own water bottles since we don’t drink soda. Those ziplock bags for wet items are a great idea! Last time we finished up the day at BB but now that the rest of the park is open later, this is a must! We have small children and last year I bought a UV resistant umbrella that attaches to our stroller for extra shade while walking around the parks. The umbrella and sunscreen worked great for preventing sunburns, while still being able to soak up plenty of sunshine without getting too much. Thanks for the heads up! We are taking the kids next weekend for the first time! Silverwood is a must every summer! Hoping to get my almost 12 year old out there this summer. We’ve always lived in Spokane, but haven’t taken the opportunity to get out there. I like to bring sunscreen, reusable bottles, towels and a group party to enjoy a fun day at boulder beach swimming and splashing. In addition to sunscreen, a lip blam with SPF is beneficial. Ziploc bags are super handy for keeping the important things dry like credit cards, ID and cash available for the swim-up bar. I love Silverwood! My sister just moved out here from another state and I would love to be able to treat her to a day at Boulder Beach! 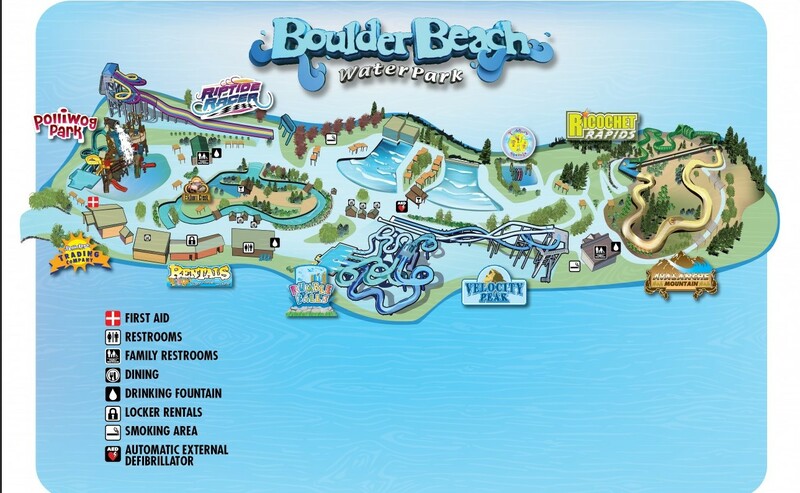 We haven’t been to Boulder Beach yet but I would definitely bring my family and sunscreen! Definitely sunscreen! Water, towels, snacks (if permitted) as my daughter has dietary restrictions. We’ve never been so it would be an adventure! We really like getting a locker lined up first thing to stash all our other gear for the day. It’s wonderful knowing it’s all locked up and safe. Silverwood as a whole is an amazing place. We love to plan our annual trip. We always sunscreen up before we leave the house and bring some along to reapply during our day. I didn’t know about the reusable water bottles for some reason so it is on this year. 😊 Silverwood here we come!! We love boulder beach, we spend most of our visit playing in the water. Thanks for the tips!! We are coming for the first time in a few weeks! Sunglasses and a hat/visor!! Also it’s easier to carry things in a backpack than like a duffle bag especially if you have kids to keep track of. Also some dry shoes if you are wanting to go into the ride area later cause some sandals don’t dry fast and can’t hurt your feet. Me and my fiancé got engaged here last year on the wooden roller coaster!! It would be amazing to go back there this year and celebrate! 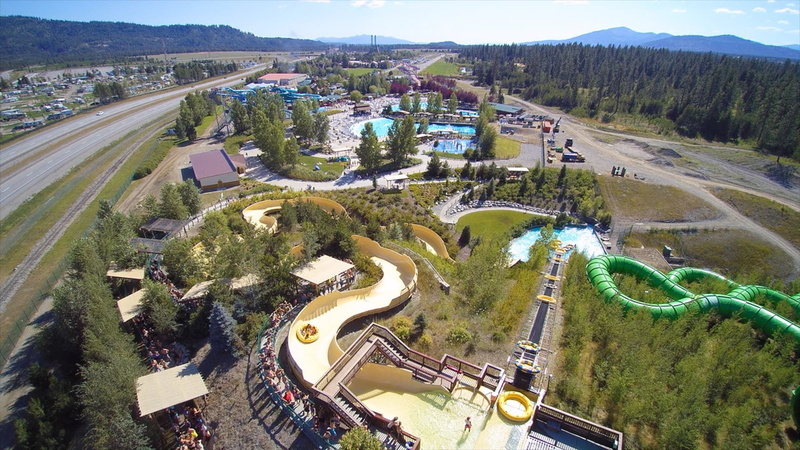 Every year our elementary/middle school children would earn a free ticket to Silverwood for meeting their reading goals (Many Thanks to Silverwood and Idaho for this wonderful program!). This year our youngest two are in high school and due to this they will not be eligible for the free ticket promotion. We could not dream of forgoing our once a year adventure in Silverwood so since the start of school last September we have been religiously setting aside a little each week for our tickets…………… and if our calculations are correct we will be meeting our savings goal by the 3rd week of August! We are beyond excited and cannot wait to see you there! As for a tip ~ when our children were younger we would all wear the same brightly colored or boldly patterned t-shirt so we could more easily find each other if we became separated in a crowd. Bring a lot of extra towels for the vehicle! I’ve never visited Boulder Beach before–looking forward to doing so this year! Coming in August so excited!! Great tips! Haven’t been since our youngest has been tall enough to ride the rides and be a part of activities at Boulder beach 🏖 it’s going to be a blast!! PS. Dramamine is an awesome tip, my daughter and I both get car sick lol great idea for rides and love that we are allowed to bring in reusable water bottles!! !